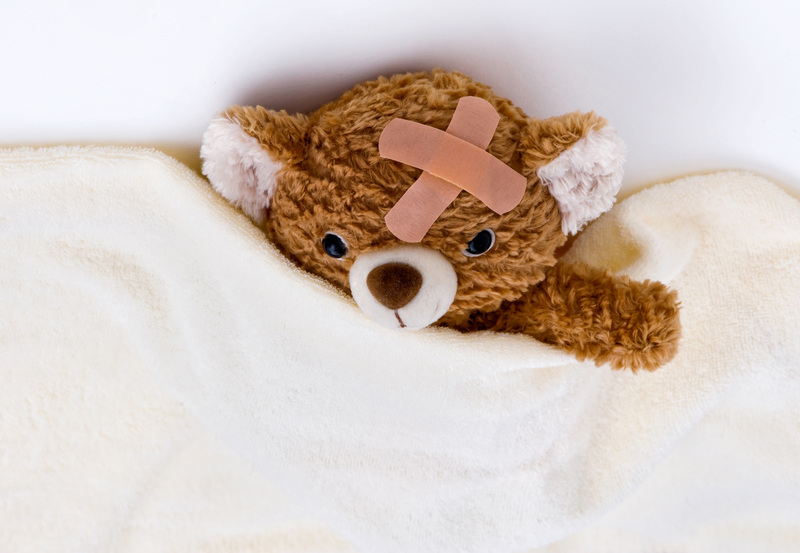 Teddy bear with bandages on heads. Bumps and falls are typical in childhood and adolescence. While these injuries can be upsetting, most head injuries are minor and not associated with brain injury or long-term complications. Even though, it is important to know when to seek medical attention and how to prevent serious head injuries in children. Scalp swelling. The scalp has many blood vessels. If the skin is not broken, a large lump develops from bleeding or swelling under the skin. Headache. About 45 percent of children/adolescents develop a headache after a head injury. In young children who are not able to speak, irritability may be a sign of a headache or other pain. Vomiting. Approximately 10 percent of children/adolescents vomit at least once after a head injury. Children who vomit do not necessarily have a serious brain injury. Concussion is the term used to describe a mild form of traumatic brain injury. Multiple concussions can permanently damage the brain. Signs of a possible concussion include feeling dizzy, lightheaded, dazed, experiencing memory loss, vomiting, headaches, blurred vision, sensitivity to light, confusion, problems concentrating and having difficulty with coordination. All bicycle riders should wear a properly fitting helmet every time. Utilize a correctly installed and appropriately sized car seat, booster seat or seatbelt every time a child/adolescent rides in the car. Use gates on stairways and doors to prevent injuries to infants and young children, do not use wheeled baby walkers and install window guards on all windows above the first floor. Be sure your child or adolescent always wears the appropriate protective equipment for biking, skating, skateboarding, skiing, snowboarding or contact sports. Always closely supervise children at play. Next story Botox treatment for muscle spasticity… not wrinkles!